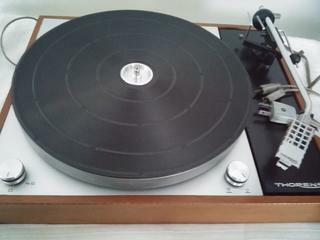 Need a big favour please..a critical combination of a few parameters that need to be met for success...I need someone in a sober state, who has a TD150 mk 2, and a digital vernier, a digital tracking weight/stylus pressure scale, patience, and love of Thorens. With this combination, I humbly request the person to weigh the little weight on the transparent thread, and measure its dimensions, and the length of the thread end2end from the top of the closed loop to the surface of the weight. With this data, I plan to make one of these up for a TD150 mk2. Alternatively, if someone happens to have a hamster using one of these weights in its gym room, then with sucessful negotiation (with the hamster) maybe the TD150 mk2 can get the real thing..
Analogue by birth, digital by design. Mostly a stereotype, though known, to enjoy some mono too. Adjust string length to suit. 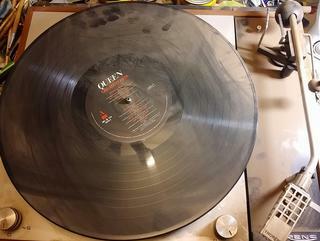 It’s not critical as long as it can move free while the arm moves across the record and always hangs. Thank you for taking the time to respond, much appreciated. As luck would have it, and the stuff that dreams are made of,...the little weight was found hidden inside the plinth/base. I will post some pics soon. I read that the Mk2 was manufactured with a plastic armboard, but this one seems to be wooden (black painted), and looks original...was the wooden board an option on the Mk2 ? The cart has the number '371' printed on its face, the stylus looks like a bus rolled over it. Now a question, what cart is this, and should I chance going with a new stylus, hoping that the cart internal suspension is fine, or go with something else? Also considering a new belt, current belt has 1cm area of very fine cracks. Can hardly believe it is the same TT! Clean-up most expertly done. Very nice turntables which really benefit from a more solid plinth. 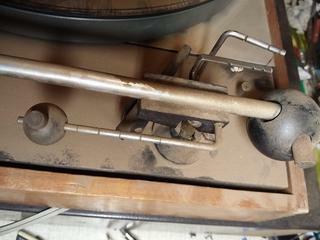 I found one in similar condition a while back, at a scrap metal dealer of all places. 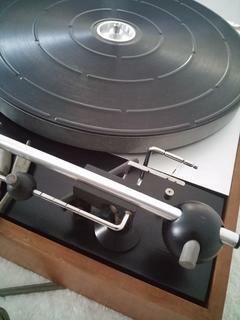 I had a spare LP12 plinth laying around into which I transplanted mine, fit's perfectly just needed a wider armboard. 186 views..and no advice yet.. 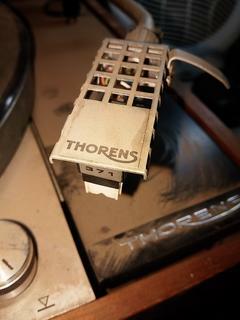 There is no better idle time than Thorens time. I typed too much. My bad. Here I quote myself...the stylus 371 issue and the cart..